Halloween Cakes - Spooky and Spectacular! Spooky and spectacular Halloween cakes that you'll be dying to make! they are easy to decorate! And what a hit for your Halloween party! 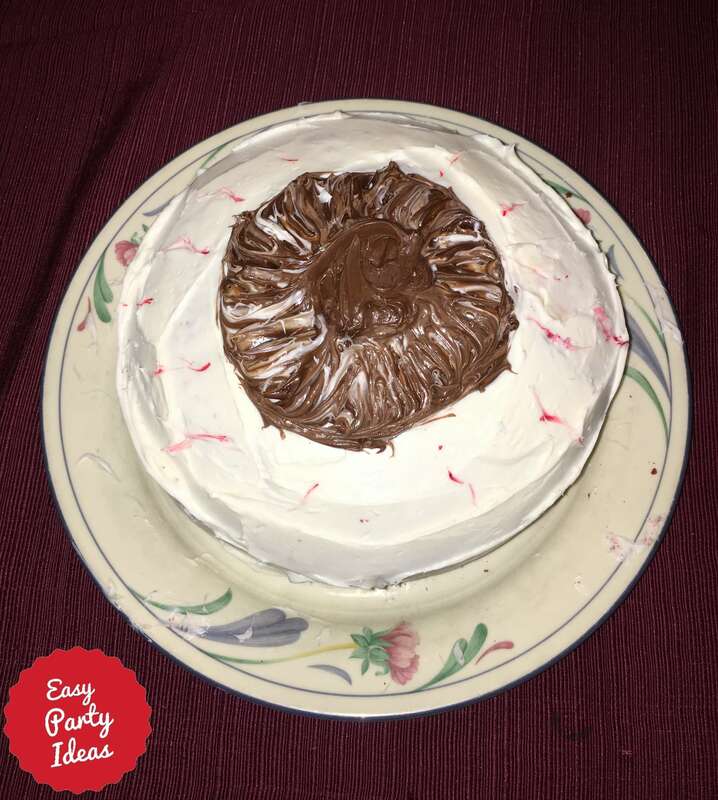 Start with your favorite cake mix or cake recipe, some tubs of frosting, and you are one your way! Add some Halloween party ideas and you'll be all set. You'll want a yummy cake, but in this case the decoration is really important. Click on the links below for on your choice of a cake and you'll find images and detailed instructions to make this fun Halloween party food! Celebrating an October birthday? 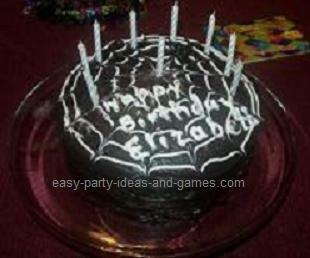 These cake designs also work as a birthday cake if you are planning a spooky or scary Halloween birthday party. Check out all of these fun cake designs for Halloween - we are sure you'll find a cake on this list that is perfect for your party! My daughter made this cake to look like an eyeball! "Take ripped pieces of paper (however many kids there are) and on one write murderer. On another write guesser. The rest would say people or person. You throw them into a hat and each kid randomly picks a card from the hat. (Don’t forget what your card said.) Go in a dark room and turn off the lights after everyone finds a hiding place. Then in the dark someone or everyone says “Come out murderer”. Then the murderer tip-toes around the room and taps one person. Then the person who got tapped has to wait a minute until the murderer goes back to his or her place. Then the person claps. Then someone turns on the light and everyone sits in a circle. that’s when the guesser comes into play. The guesser has to guess who clapped and who the murderer was. Then once the gusser gets it right you can pick out of the hat and start over again." Lets plan your party! Make sure you visit these Halloween Party pages that are full of great ideas.